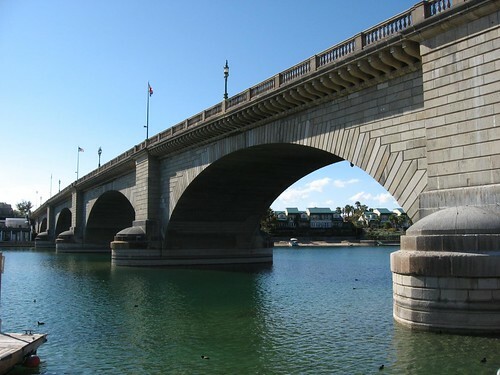 This is not a post about some futuristic bridge spanning the Atlantic, rather it is about the "London Bridge" which was dismantled, transported and then re-assembled in Lake Havasu City, Arizona, USA. A bridge upstream of famed Tower Bridge has always existed since the Roman times and the current bridge which was opened on 17 March 1973 and is the latest in a succession of bridges to occupy the spot and claim the name. 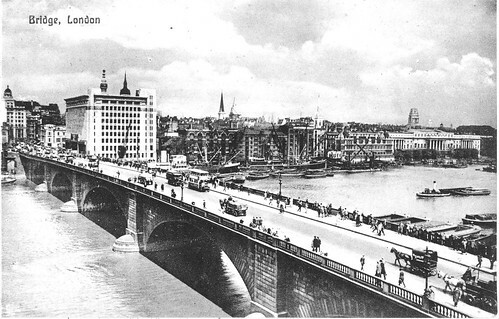 Before the construction of the existing and the latest "London Bridge", the bridge which existed at this location was built in 1729 and at that time it was known as "New London Bridge". 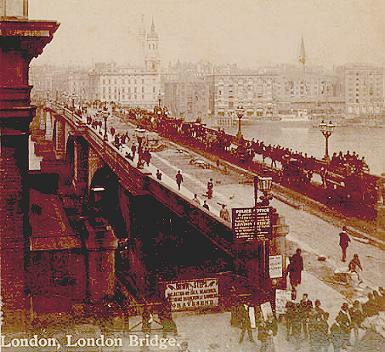 The so called "New London Bridge" opened on 1 August 1831, had a length of 283 metres (928 feet), a width of 15 metres (49 feet) and was London's most busiest bridge. Due to large traffic passing over it, the bridge was widened in 1902–04 to 20 metres (65 feet). However as it was not designed for such a width and large/heavy loads its foundation started sinking. In 1967, the Common Council of the City of London decided to build a newer bridge at this location and this so called "New London Bridge" which had become old was put on sale. On 18 April 1968, a Missourian entrepreneur Robert P. McCulloch of McCulloch Oil bought the dilapidating bridge for US $2,460,000. 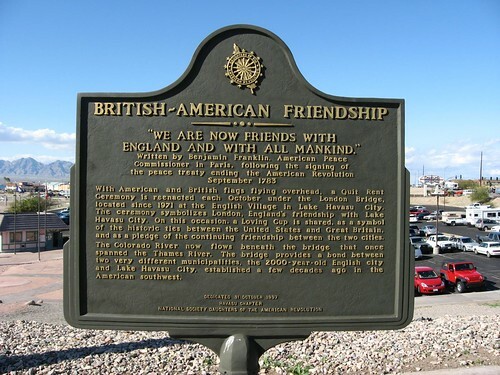 The bridge was dismantled, each piece was numbered before transportation and reconstructed at Lake Havasu City, Arizona. Re-dedicated on 10 October 1971, it has now become Arizona's second-biggest tourist attraction, after the Grand Canyon. It is rumoured that McCulloch believed mistakenly that he was buying the more impressive Tower Bridge and was disappointed when he saw the actual bridge after signing of sale deed. This however needs citation. Here are the images of the bridge after it has been re-assembled in Lake Havasu City. 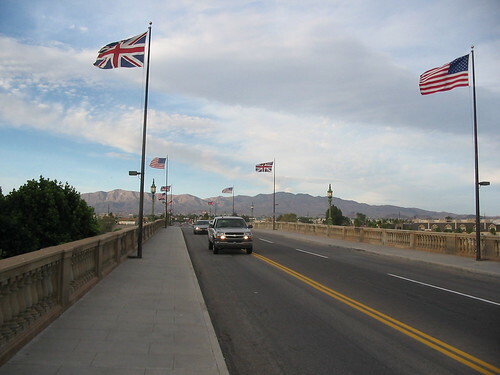 Notice the Union Jacks, which still fly on the bridge.